Think it would be tough to eat exclusively local food for a year? This Dawson City family showed that it can be done — even in a subarctic climate. 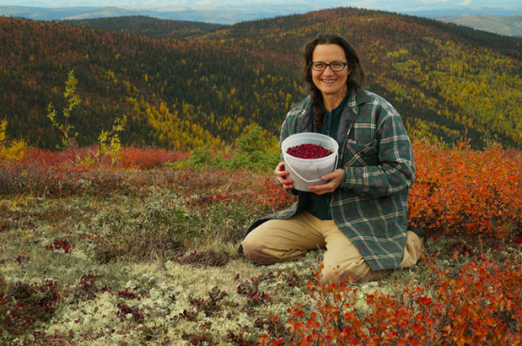 Suzanne Crocker, with the bounty of the North. Dawson City, Yukon, a town of about 1,400 known primarily for its role in the Klondike Gold Rush, doesn’t get much media attention. But this summer, when news broke that resident Suzanne Crocker and her family had completed a year of eating nothing but foods grown, hunted or foraged in the area, the camera crews descended. Crocker herself is making a documentary about the experience, including the biggest challenge of all: persuading her husband and three children to join her. 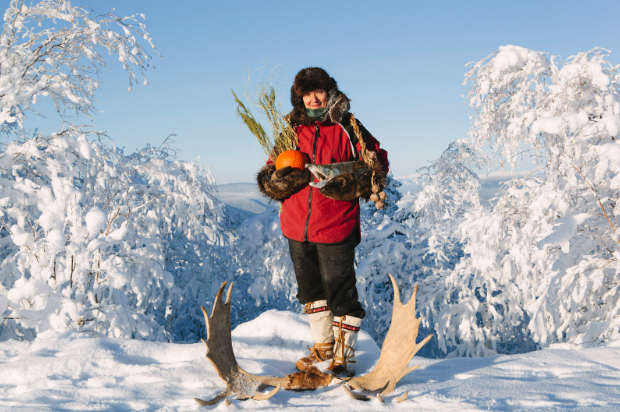 Of course Indigenous people have been eating 100 percent local in frozen northern places for thousands of years, and thriving. Yet today, Dawson City, where the growing season lasts but 66 days, imports 97 percent of its food — an unhealthy reality for people across northern Canada and Alaska. Bringing attention to this sad fact was the greater purpose of Crocker’s mad dare. A tale of two seasons. It’s an incredibly important conversation, as the rates of diabetes and other diet-related diseases are astronomical in northern communities. And the high cost of imported food helps to perpetuate a cycle of poverty. But also important — and exciting — are the foods native to northern climes, which get little lip service in the rest of the world. Here’s a sampling of some of the exotic tastes that the Crocker family came to discover. The meat is extremely dense and lean. It’s known for having a gamey flavor, though moose hunted in summer, when the animals are able to graze on fresh grass, can be quite mild. Moose lips are considered a delicacy in northern Russia. These are the berries of a shrub in the honeysuckle family. They taste like a combination of blueberries and raspberries, but with astringent undertones. Capable of withstanding temperatures to -50 degrees Fahrenheit, haskaps are cultivated as commercial crop (albeit on a limited scale) in some northerly locales. The growing tips of spruce branches have a delicious citrusy flavor when they emerge in spring. They are used in herbal teas, as a spice and as a raisin substitute in cookies and other baked goods. Not typically eaten raw, spruce tips may be consumed as a pickled vegetable. Also known as Eskimo potato, this species is related to sweet peas, but it is the roots that are edible. Some accounts say the tubers, which taste like carrots, were traditionally eaten raw with seal oil, though they may also be boiled or roasted. A closely related, but poisonous species is believed to be what killed Chris McCandless, the subject of the film Into the Wild, in Alaska. Maple trees only grow so far north. But with a native range extending well into the arctic, birch trees are among the most cold-hardy hardwoods. And they produce a copious sap that can be tapped and boiled down into a syrup known for its complex array of woodsy, fruity and caramel flavors. As a 64 yo Alaskan, before she was a State, I have hunted, gathered, fished, and fermented in all sections of my Alaska, including above the Arctic Circle. There is more bounty than this article could ever fit in. With some knowledge and faith in local wisdom, you would never starve in Alaska. I love these stories! Thank you, Modern Farmer. Perhaps this will come out in the documentary, but I am interested in hearing more! How about a food analysis of nutrients and calories in different seasons and which foods they came from? You mention a lot of seasonal foods here, and I’m sure the winters were long. Fascinating! Would love to learn more about their storage and methods of preserving. 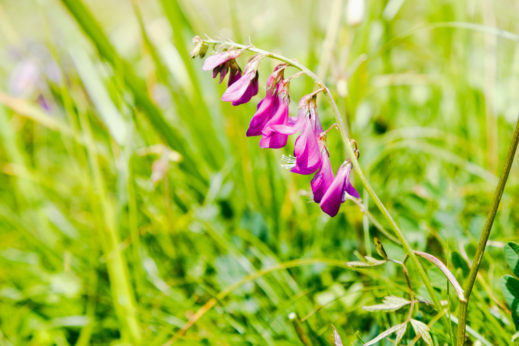 Also what other foraged foods, especially fruits, might be available. For example juniper and Saskatoon berries.